Touch Of Belle : 2014 Blogger Challenge - High end Wish list! 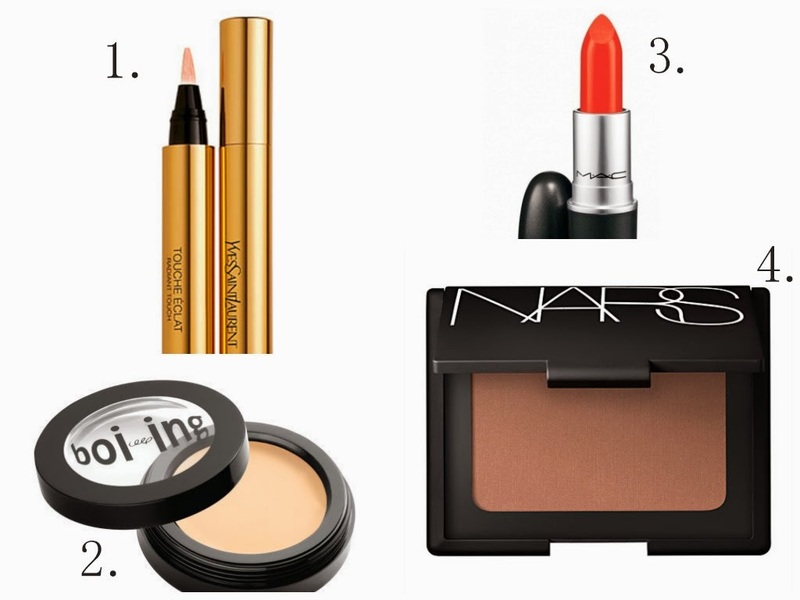 Here are some high end products I really want to get my hands on! The product description says its for all skin types which is good as I have dry skin and find it hard to get a concealer that doesn't sink into my fine lines under my eyes. I always get a shade lighter in concealer to help brighten my under eye so this pen brush applicator would make it easier to glide on under my eyes. This has been top of my wish list for some time now! It is such a lovely colour and is perfect for the summer! I might have to make a cheeky purchase! I have hear so many good things about this concealer and I have had my eye on it for ages! I have seen so many people rave about this product in videos and blog posts and it looks gorgeous it gives a nice glow to your face. What is in your high end wish list? Let me know below! Thanks for checking my blog out lovely :) Morange looks like such a lovely colour!